As god of embalming and the dead, the afterlife and lost souls, Anubis is one of the most prominent and mystical gods of ancient Egypt. He was known since the earliest periods in the history of the civilization that was based near the Nile River. This god was first mentioned during the First Dynasty period , but it is possible that future research may show that he was present even before then. It is interesting to note however, that the name “Anubis” was unknown before the Greeks arrived in Egypt . In the ancient Egyptian language, he was called Anpu or Inpu. This name has the same root as a word which means ‘a royal child.’ Moreover, it is also related to the word “inp”, meaning “to decay”. Anubis was also known as “Imy-ut” ("He Who is in the Place of Embalming") and "nub-tA-djser" ("lord of the sacred land"). To date, archaeologists have not unearthed any monumental temple dedicated to this god. His “temples” are tombs and cemeteries . The major centers of his cult were located in Asyut (Lycopolis) and Hardai (Cynopolis). His name appears in the oldest known mastabas (mud-brick tombs) of the First Dynasty and several shrines to the god have been found. For example, a shrine and a cemetery of mummified dogs and jackals was discovered at Anubeion, a place located to the east of Saqqara. It seems that during the reign of the first dynasties he was even more significant than Osiris. This changed during the Middle Kingdom period, but Anubis continued to be one of the most important deities. Anubis was one of the deities that could also work against humans. He was independent, sometimes helpful, but sometimes punished humans as well. One of his main roles was ''The Guardian of the Scales''. This was related to the belief that after death a person meets the gods who put his or her heart on a special scale. The scenes of the weighing of the heart ceremony from the Book of the Dead present Anubis - who measured if the person was worthy enough to live an eternal life. 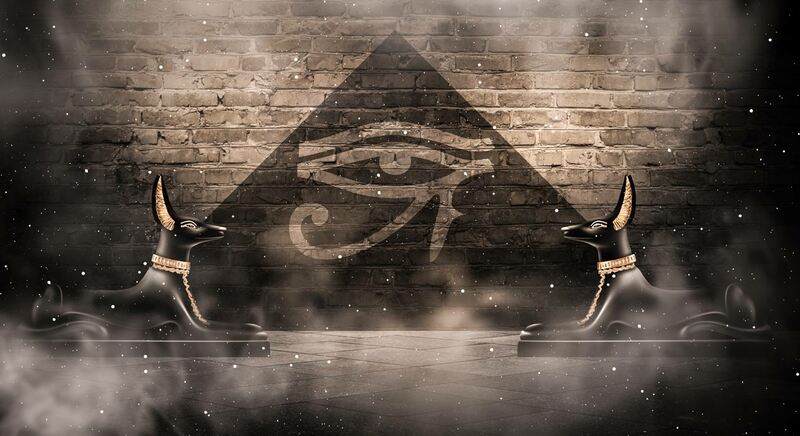 Thus, Anubis could decide the soul’s fate. 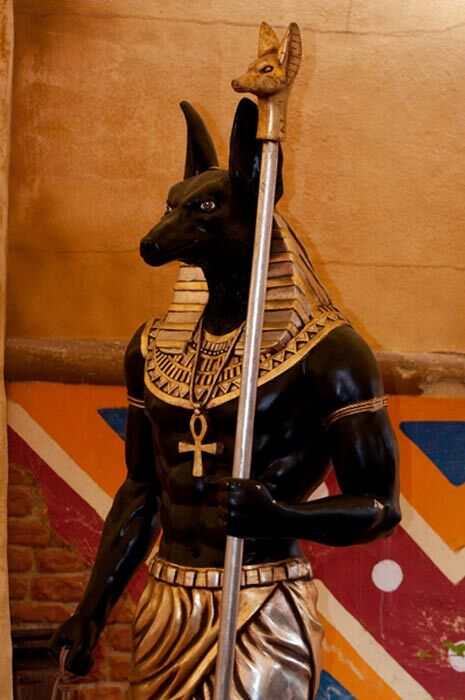 The god Anubis was usually depicted as a jackal and sometimes as a man, but he was always in black, which was a color connected with desolation and rebirth. Anubis had a female counterpart named Anput, and a daughter, who was the serpent goddess Kebechet. He was also associated with the god Upuaut (Wepwawet), another deity with canine features. Anubis was also the patron of lost souls, including orphans. During the Greek period, he was associated with the god Hermes. The Greeks created a composite deity called Hermanubis as well. They decided to combine Hermes as a messenger of the gods with Anubis who guided the dead to meet them. 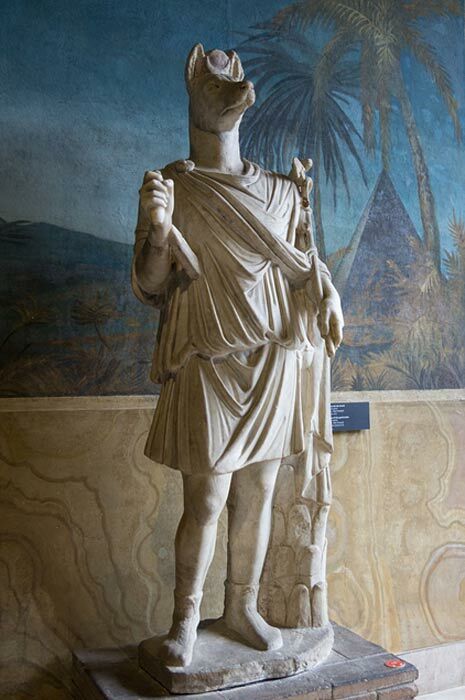 Over time, Hermanubis became related to Herpokrates in the eyes of the Romans - a popular god for alchemists and philosophers during the Renaissance. The most famous of Anubis’ shrines found to date was discovered in the tomb of Tutankhamun (KV62). Now it is located in the Egyptian Museum in Cairo (JE61444). It was found behind the un-walled entrance which led to the ''Store Room''. The shrine was located near the canopic chest, which still contained its jars. Anubis’ main roles were embalming the body, guiding the soul, and protecting the tomb. According to an Osiris myth, he helped Isis embalm her husband. Due to this story, the priests who worked during the mummification process wore masks with a jackal face. Moreover, the legends say that when Osiris was killed by Set his organs became a gift for Anubis. This started a tradition of offering him some parts of the dead. Real jackals were prone to digging bodies out of shallow graves and eating them. Ancient Egyptians made Anubis the guardian of cemeteries and the god of embalming to turn a negative force into a positive one. For centuries, people believed that tomb robbers would be punished by Anubis as he was the guardian of the dead. Moreover, it was believed that good people would be protected by him and their eternal life would be peaceful and happy due to his care. Anubis received many additional powers and attributes from modern popular culture. The mysterious god became a popular character in books, video games, and movies during the 20th and the first years of the 21st centuries. Modern artists often imagine Anubis’ powers as something more sinister than Ancient Egyptians did. His bad reputation was created by fear and for modern entertainment value. In the past, there was a belief that people didn’t have a choice over their destinies, but there was hope that the jackal god would allow them to enter the afterlife and enjoy it forever. "nub-tA-djser" I think that's a typo; nub = gold (e.g. Nubia), Neb means lord.